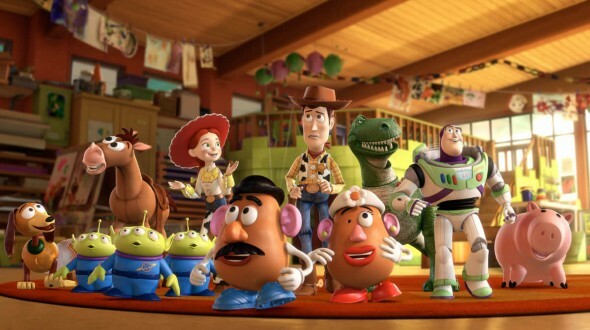 Almost 15-year since the original Toy Story was released, Pixar have once again come back to their original "toy" universe in Toy Story 3 which is a coming of age story for not only our heroes but also Andy as well, the owner of these toys. Best of all, quite a few people from the original movies have returned to create a movie as equally good as the first two. Directed by Lee Unkrich, Toy Story 3 stars Tom Hanks as Woody the Cowboy and Tim Allen as Buzz Lightyear as they get involved in another frantic adventure that sees them breaking out of a daycare centre. The story begins with a great "fake" action scene but is soon dragged to reality as their own Andy is off to college. As he packs his room up, some of the toys believe that they will be thrown out but in actual fact Andy wants to keep these memories safe and puts the toys up in the attic. Unfortunately Andy's mother accidentally picks up the wrong bag and sends them to a daycare centre. With the majority of Andy's toys happy that they will find a new life with children, they soon learn that this daycare centre is actually run by the Totalitarian Lotso Huggin Bear (Ned Beatty). For the new toys, they are sent to the room with the younger children who have no respect for these toys and are treated quite rough. With a few toys escaping their prison, Woody manages to come to the rescue as he attempts to breakout his friends and from here, it's good toy versus bad toy. There's also some great cameos from various toy companies, including a slick Ken from Barbie and a one-eyed baby that is extremely creepy. Without spoiling the movie too much, Buzz is returned to his factory settings and plays the loyal guard for Lotso Huggin Bear and his lackeys. With a stellar cast that include Joan Cusack, Don Rickles, Michael Keaton and John Ratzenberger, it's easy to fall in love with these characters thanks to the passionate voices of these actors. 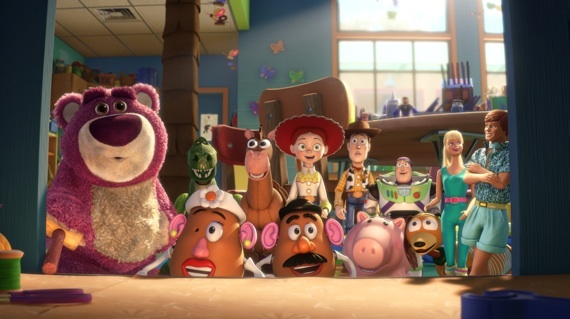 Apart from the clever and witty story, another highlight of Toy Story 3 is the animation which is beautifully brought together and looks wonderful on Blu-ray. Add in high definition sound and a plethora of great Disney extras and you have the perfect addition to your Blu-ray collection. It should also be noted that the Blu-ray version comes with the DVD movie as well! 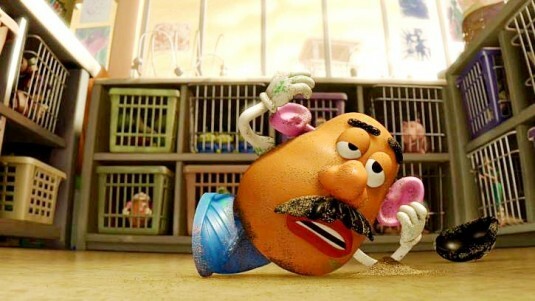 Personally, I hope Disney release a 3D version of this movie because it will be the best thing since sliced cheese! 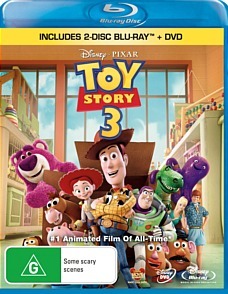 At the end of the day, I cannot fault Toy Story 3 and if you loved the original or love computer animated movies, this is as good as they come. From a storyline that can be watched by everyone and some wonderful characterisations, Toy Story 3 returns you to a world of wonder and amazement with older viewers being transported back to their childhoods. Recommended!